So many authors focus on selling books online. But, working to promote your book to your local community can actually have a huge impact on your book sales and your business, maybe even more than if you focus on promoting your book online. It’s easier to stand out from the crowd when you can meet with people face-to-face, which can result in more book sales and a bigger impact. Then, you can take that local momentum and bring it online when you feature the buzz you’re getting in your community on your digital platforms. In this episode, I’m excited to feature an interview with Marsha Apsley. 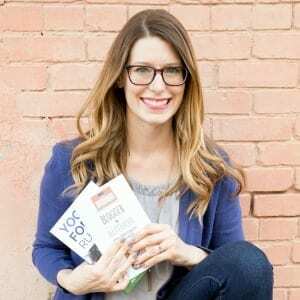 Marsha is a repeat guest on the Blogger to Author Podcast (you can also catch her in Episode 30 – Finding Your Purpose by Re-Purposing). Marsha has had amazing success from promoting her book heavily in her local community, including taking advantage of local media opportunities and having a signing event at her local bookstore. In the interview, she fills us in on how her local focus is really paying off (literally and metaphorically), and how that local momentum is helping her build her business online. Marsha Apsley is a counselor and author and is passionate about helping women live fit and free. She does this by focusing on whole person health and wellness with an emphasis on how women feel about themselves. She believes that a healthy lifestyle needs to be built on a firm foundation of faith. Previous Post Episode 62 – How to Write Your Book Faster Next Post Episode 64 – When is Done Better than Perfect for Your Book?